I boot scooted my way up to Tamworth, Nundle and Armidale for Australia Day and of course, the Tamworth Country and Music festival. 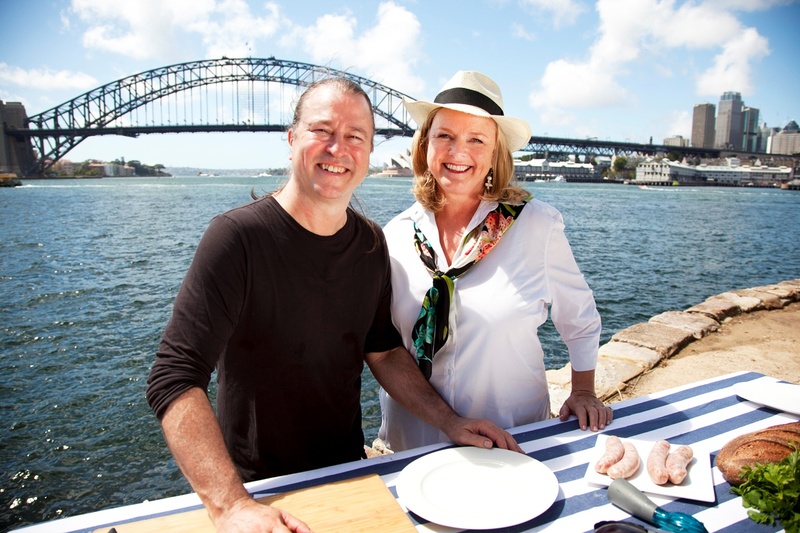 Taste of Australia encore continues this Sunday 3rd July at 12:30pm on Foxtel’s LifeStyle FOOD! 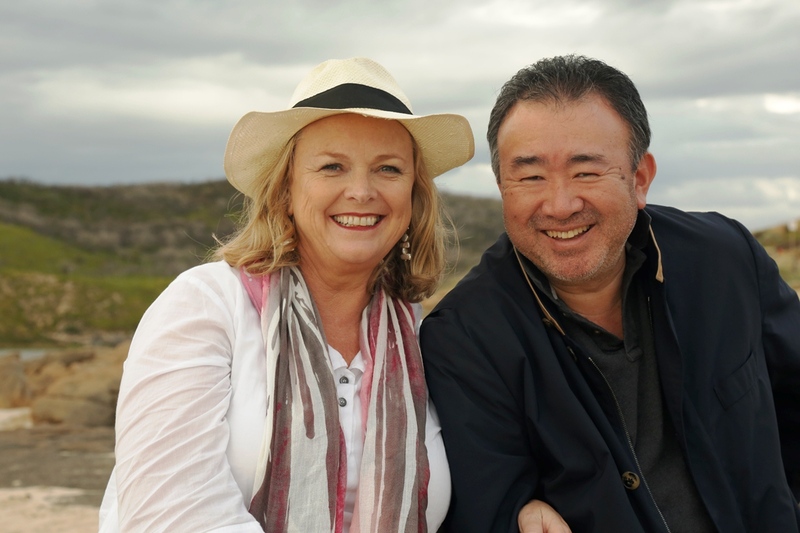 It has just been named Best Food TV Show in the World at the Gourmand Awards. 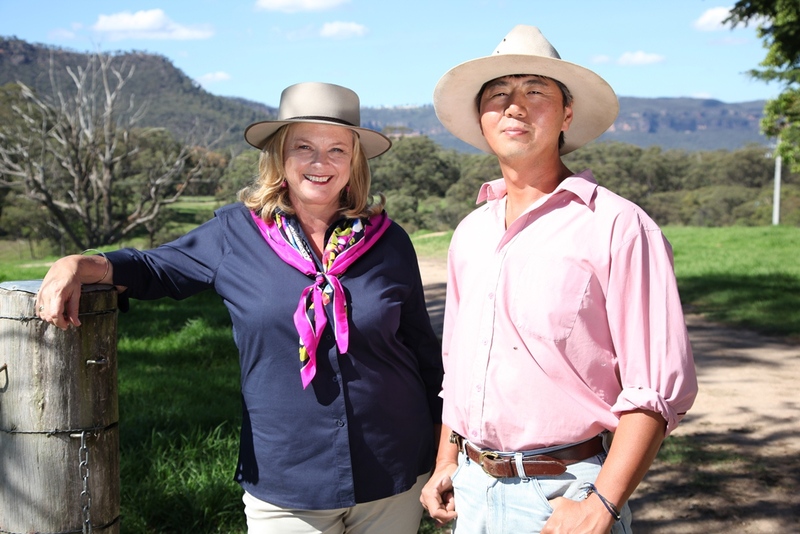 We began our adventure in Armidale where I visited Peter and Sally Strelitz, the couple behind the highly sought-after Milly Hill Lamb, previous winners of The Royal Agricultural Society of NSW President’s Medal. It was a delight to visit their farm and meet their four beautiful children who mounted their horses to round up the sheep for us! I learned that it’s all about the quality of the grazing land, the genetics and the feeding regime for a consistent end product. I took some of their award-winning lamb backstrap to Peterson’s winery to cook Lamb in vine leaves, poached in their local Riesling, served with a warm cauliflower salad. Of course, I couldn’t resist the opportunity to sample some of their cool climate reds including their Pinot Noir and stunning Armidale Shiraz. Next time I’ll be back to dine in their restaurant too. I managed to get Frenchman Phillipe Kanyaro, out of his restaurant Le Pruneau in Tamworth. He welcomed me to his farm and we cooked Roast goose with wild garlic and herbs in his outdoor wood fired oven. The free range roast goose came straight from his back yard and we found the wild garlic down by the creek. Included in his selection of vegetables was an unusual one I’d not seen before called a Potiron. This is a cross between a pumpkin and a squash which he filled with Paris mash potato and baked in the oven- it was delicious! I finished my stay in Armidale with a trip to the University of New England where I created a culinary ode to Dame Nellie Melba, Deconstructed peach melba in front of the federation homestead, Booloominbah House. I feed roos, ride camels and wild horses. 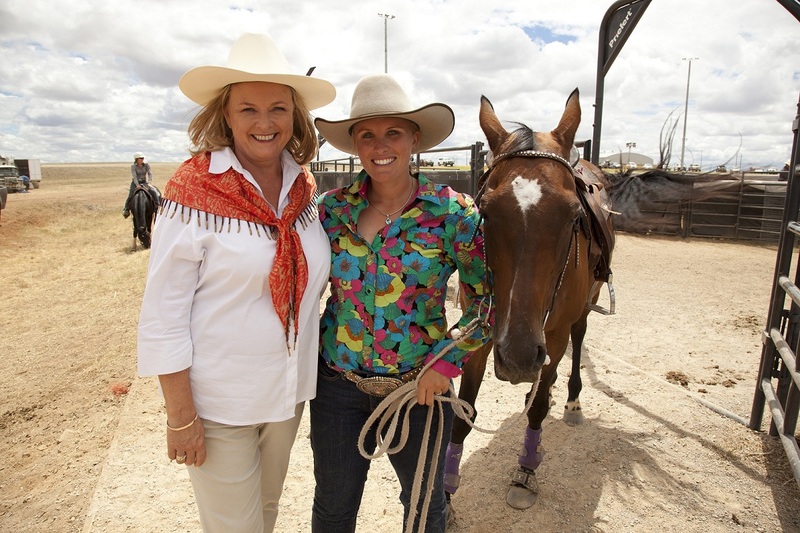 I also met up with the camp drafting ladies champion, Simone Harvey, jumped in for some line dancing with the locals in the street and learned to crack a whip – well, almost. A highlight from this trip was to be the Australia Day Ambassador in Nundle. Every year I choose to go to rural areas as ambassador on this special day and what a bonus to have my TV crew with me! 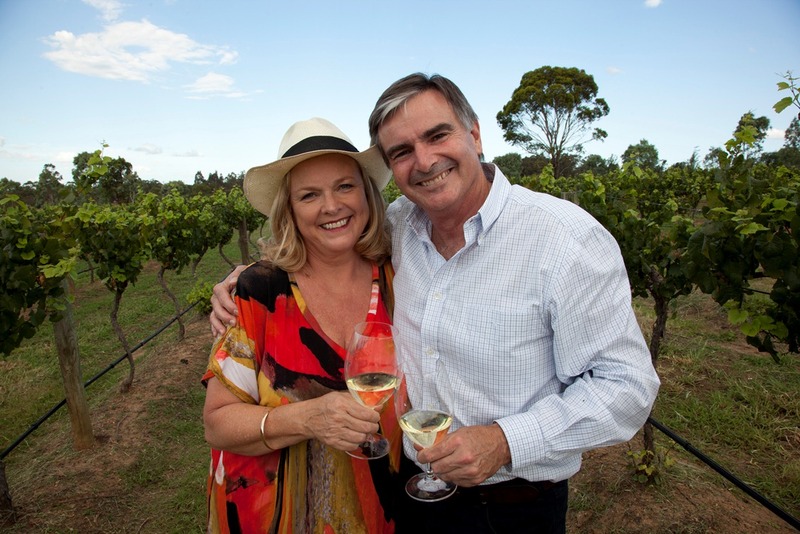 It may be one of Tamworth region’s smaller communities but it certainly packs a punch when it comes to community spirit. Winner of six awards at the 2012 Tiny Towns Sustainable Community Awards, I was honoured to receive such a warm welcome from the locals at their annual Australia Day celebrations. 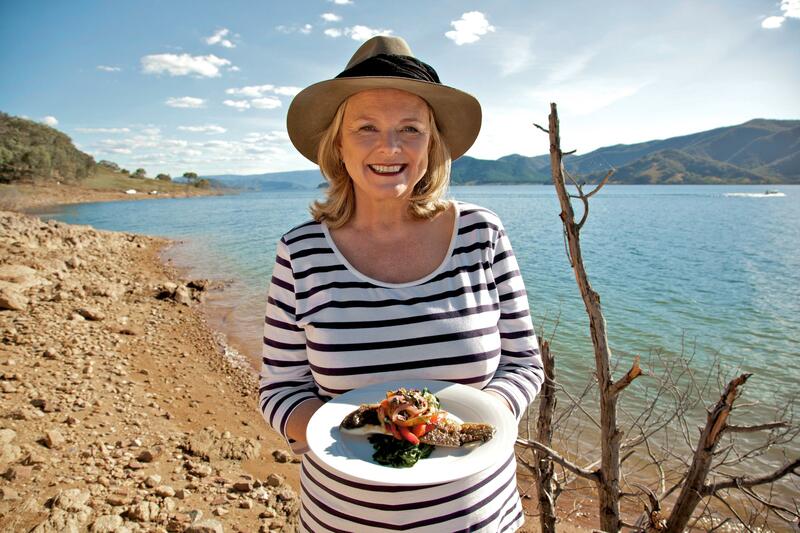 If you have enjoyed Lyndey Milan’s Taste of Australia, the book of the same name is available from all good bookstores or www.flamedistributionstore.com , the book was recently been names ‘Best TV Chef Cookbook in English’ at The Gourmand World Cookbook Awards.